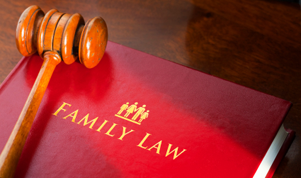 Child advocate attorneys form an important part in Washington State family law. They provide a legal voice for children and ensure their best interests are safeguarded. This group of attorneys works along with investigators, social workers, educational advocates and those serving as guardian ad litem to speak for youth throughout the court proceedings. Child advocate lawyers are appointed by the court to consider what is best for a child without a guardian or one who is part of the foster care system. These children are often victims of abandonment, neglect or abuse and desperately need a legal advocate. Their attorney defends the child's rights in both the state and federal court systems. The child advocate lawyer minimizes any disruption in the children's lives in the foster care system by ensuring access to adequate healthcare, keeping siblings together and finding long term foster care assignments for them whenever possible. The court considers the attorney's recommendations on what is in the child's best interests. Sometimes this recommendation conflicts with what the child wants; then the child's lawyer is required to also tell the court what the child wants to happen. State and local offices often provide child advocates, as do non-profit organizations and independent law offices specializing in this area. The National Association of Counsel for Children (NACC) certifies attorneys who want to specialize as child advocate lawyers. When the attorney meets the educational and proficiency levels established by the NACC, they can be designated a Child Welfare Law Specialist. Some states require child advocate lawyers to complete state-specific training and continuing education courses in family law, children and the law, criminal investigations, criminal defense and domestic violence. The University of Washington School of Law began a Children and Youth Advocacy Clinic (CAYAC) in 1996. This multi-disciplinary program also covers areas of social work and medicine. Its main focus is on development of a holistic legal program for children and youth needing an advocate. CAYAC includes interdisciplinary training for lawyers, judges and others who are part of the child welfare system through the Court Improvement Training Academy. A state-wide workgroup developed standards for attorneys representing children and youth in Washington State. These standards include all aspects of children and teens in dependency and termination legal proceedings. CAYAC actively files amicus briefs in Supreme Court cases establishing children's constitutional right to personal counsel in termination of parental rights cases. Child advocate attorneys work with youth who have intellectual and developmental disabilities as well. They coordinate with charities, human services organizations, social service and community organizations, developmentally disabled and special needs services and products. As the teens age, their lawyers will include career and vocational counseling support groups. The Arc of Washington State develops programs and services for individuals with intellectual and developmental disabilities. Their organization helps advocate for the rights and full participation for these individuals providing information regarding support and services. They influence policies regarding public awareness and encouraging inclusive communities. The Arc itself is composed of individuals with developmental and intellectual disabilities, professionals who provide support, family members and concerned community members. It is a non-profit organization that works along with child advocate lawyers in caring for the rights of children within this demographic. An advocacy attorney works with the Child Justice Center (CJC) which promotes the healing of victims of child abuse and ensures their safety along with non-offending family members. The Prosecuting Attorney's Office appoints victim advocates in criminal physical abuse cases. Their lawyer provides support for the child victim throughout the judicial process. They keep the non-offending family member and the child victim informed as the court process continues, comforting them, listening to their problems and assisting them with healing and supportive services. Agencies such as the YWCA care for the child during medical procedures such as sexual assault examinations. Advocates for the CJC support the reporting and recognition of suspected child abuse and ways to access needed healthcare to prevent additional harm to the child. This includes utilizing special local providers rather than busy emergency rooms or large clinics which may intimidate the already traumatized child. The main goal is to provide the child with whatever specialized medical care is needed. Another aspect of child advocate attorneys is to access mental health services when necessary. CJC is a partner with the Children's Center mental health services. Their staff is specially trained to provide free mental health assistance to both child victims and non-offending family members. A group of mental health organizations work with the CJC and attorney advocates to give continuing therapeutic care. One final area where a child attorney's expertise is needed is dealing with Child Protective Services(CPS). A parent under investigation by CPS needs to be aware of the agency's powers concerning their children and that the law often favors the agency's agenda. A child advocate attorney will aggressively defend the child and the parent's rights in court.